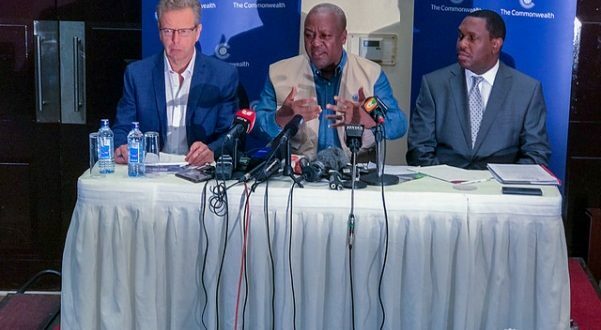 0 53Former President John Mahama is leading a 15-member delegation from the Commonwealth nations to observe the upcoming general elections in Kenya. Kenyans will go to the polls on August 8, 2017. Over the past year, the electoral process in that country has been marred by violence. 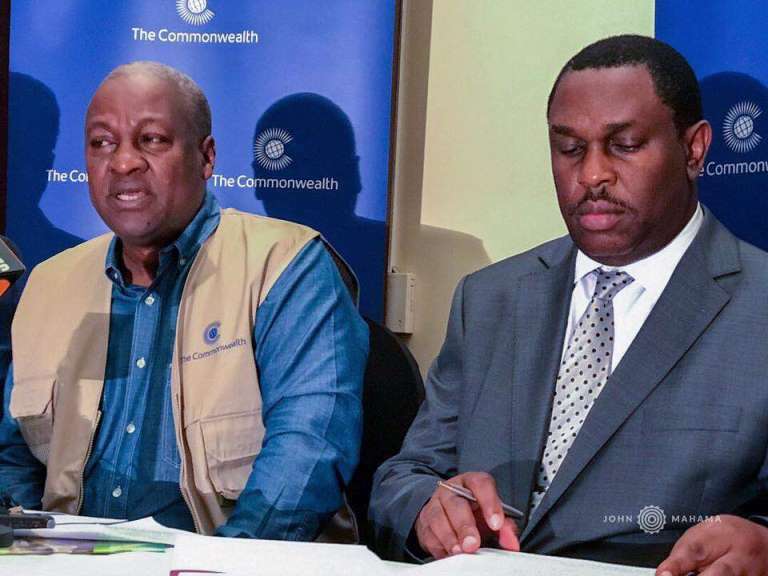 While speaking in Nairobi, President Mahama who is the Chairman of the Commonwealth Observers group promised that his team will be transparent and impartial in their endeavours. “We are aware of the significance of these elections to the people of Kenya, the region and the global community. Our presence here affirms the support of the Commonwealth to Kenya and its democratic processes. We make a commitment that our observation role will be undertaken with impartiality, independence and transparency,” he said. “We are here to observe the electoral process and will act impartially and independently as we assess its organisation and conduct. We will seek to assess the pre-election environment, polling day activities and the post-election period against the backdrop of Kenya’s national legislation and regulations as well as regional and international commitments. We will then take a view whether it has been conducted to the international and regional standards to which Kenya has committed itself, including its own laws. In this context, we look forward to the Presidential candidates reaffirming their commitment to peaceful elections,” he added. 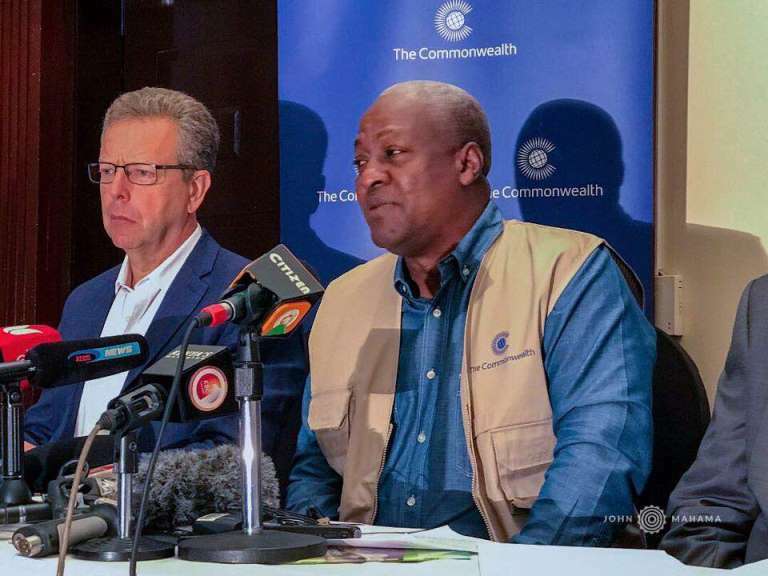 Arrival Statement by: Chair of the Commonwealth Observer Group, HE John Dramani Mahama, former President of Ghana. Ladies and Gentlemen, thank you for coming to this Commonwealth Observer Group Arrival Press Conference. First of all, on behalf of the Commonwealth Secretary-General and the Observer Group for the elections in Kenya, I would like to express my sincere condolences to the family and the colleagues of Chris Msando of the IEBC. We would join with all those calling for a full, rigorous and thorough investigation to find out who is responsible and why this murder took place. At this stage I do not wish to go further. Our sympathies are with the family and friends of Mr Msando and our interest is in a peaceful and credible election process. I am greatly honoured to have been asked by Commonwealth Secretary-General Rt. Hon. Patricia Scotland QC, to lead the Commonwealth Observer Group to Kenya’s General Elections scheduled for 8 August 2017. The 15 strong Group was constituted following an invitation from Kenya’s Independent and Electoral Boundaries Commission. This follows the visit of a pre-election assessment team to the country in March 2017. The Group is made up of eminent persons drawn from across the different regions of the Commonwealth, including Africa, Asia, Europe, the Caribbean and the Pacific. 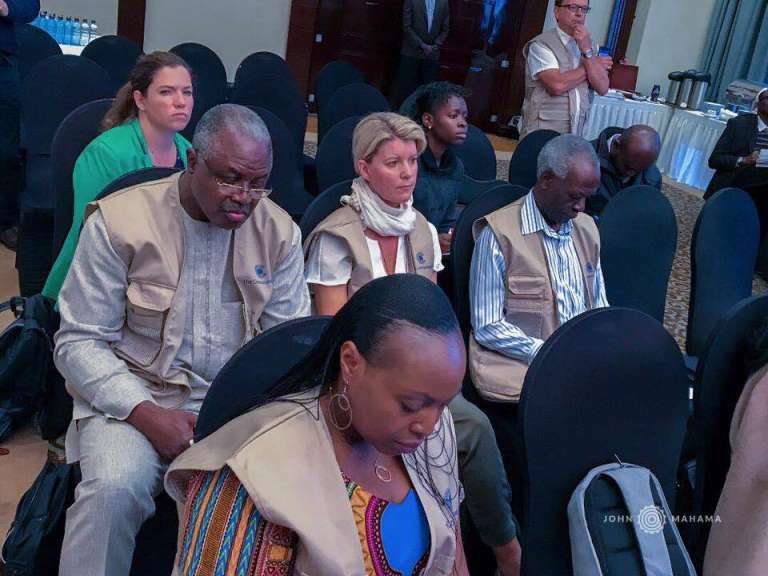 They bring a wealth of experience from across the social and political spectrum including civil society, women’s and youth groups, human rights organisations and the media. We are here to observe the electoral process and will act impartially and independently as we assess its organisation and conduct. We will seek to assess the pre-election environment, polling day activities and the post-election period against the backdrop of Kenya’s national legislation and regulations as well as regional and international commitments. We will then take a view whether it has been conducted to the international and regional standards to which Kenya has committed itself, including its own laws. In this context, we look forward to the Presidential candidates reaffirming their commitment to peaceful elections. Our planned briefings are wide ranging, encompassing election officials, political parties and local stakeholders; including citizen observers, women’s groups and youth. So far we have met some parties and stakeholders. 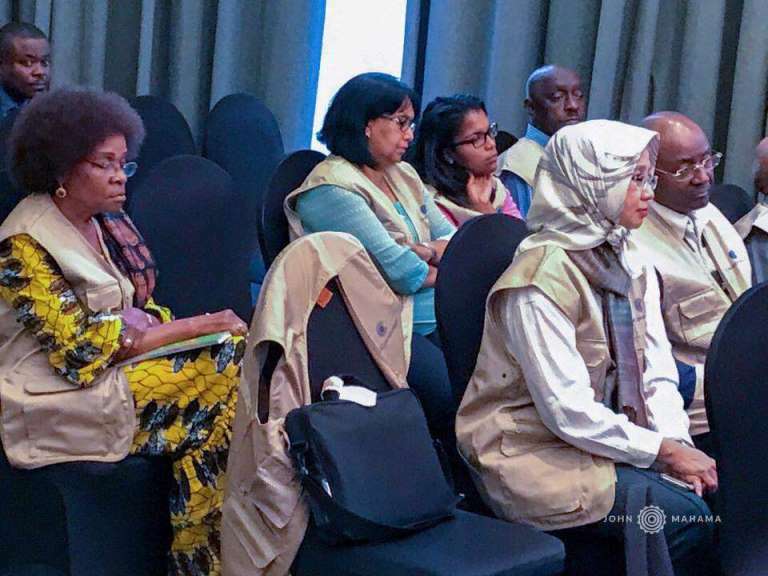 We have also been briefed by our advance team of observers which has been on the ground since 19 July. From Saturday 5 August our observers will be deployed to locations across the country. They will be in small teams and will arrive to observe preparations ahead of polling day and meet with political parties, the police, election officials and other stakeholders in their respective locations. On Election Day, they will observe the opening, voting, closing, counting and the results management processes. We will issue an interim statement on our preliminary findings on 10 August 2017. A final report will then be prepared and submitted to the Commonwealth Secretary-General, and subsequently shared with relevant stakeholders and the public. The Group will depart Kenya on 14 August 2017. We are aware of the significance of these elections to the people of Kenya, the region and the global community. Our presence here affirms the support of the Commonwealth to Kenya and its democratic processes. We make a commitment that our observation role will be undertaken with impartiality, independence and transparency. We hope that our Group’s presence will confirm the solidarity of the Commonwealth with the people of Kenya. As the campaign nears completion I would wish the people of Kenya, those seeking election, the poll officials and others who work to make the process democratic, well as the nation exercises its rights, and we join in the heart felt desire for a peaceful process on August 08.